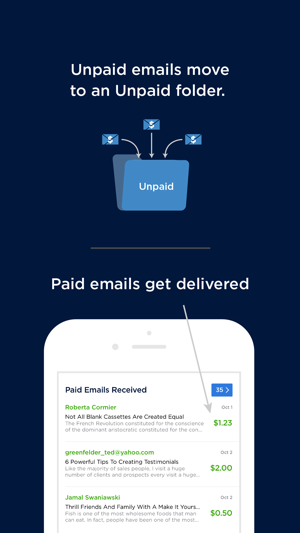 Inbox peace of mind or get paid. 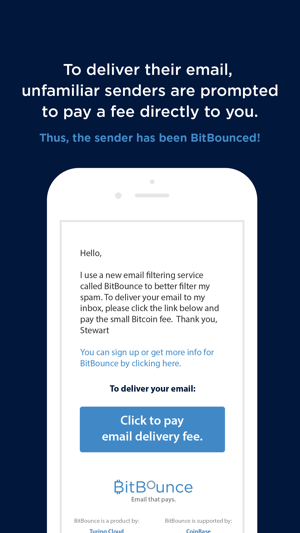 BitBounce allows you to charge unfamiliar senders a cryptocurrency fee to deliver an email to your inbox. 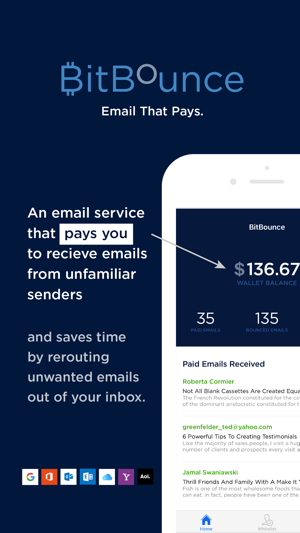 For you, this means a curated inbox of 1) emails from people who you know and 2) emails you’ve been paid to receive. 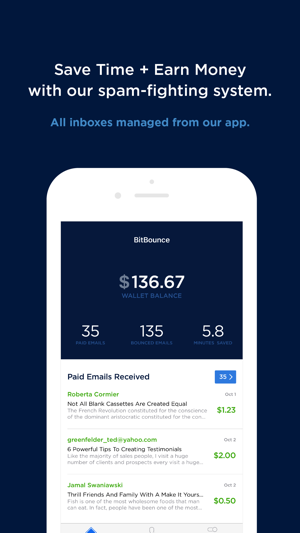 BitBounce creates inbox peace of mind. 1. Sign up for BitBounce. 3. Enjoy the benefits of a spam-free inbox and a growing wallet. 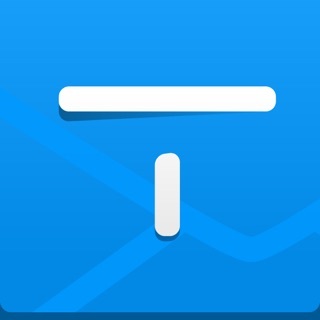 • Compose and send Incentivized Response emails. • View and contact BitBounce VIPs. 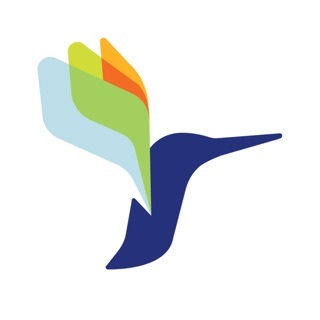 • Dynamic pricing of Credo. • New sign up flow. • New account confirmation security mechanism. • Various minor improvements and fixes. Great way of eliminating the random emails that make it through gmail spam filters. 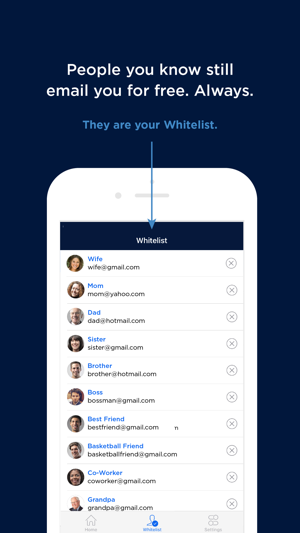 The whitelist feature ensures those Emails I want to see make it through. Great tech. I like the interface too. © 2017 Turing Technology, Inc.